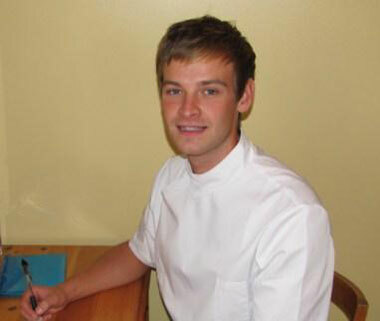 You will be treated by our highly trained and competent osteopaths, Nicola Sell or Micheal Robson. Get 25% Off Your First Treatment! 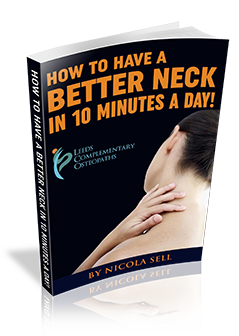 How to have a better neck in 10 minutes a day! Fill in your details and receive free report straight in your inbox! and professional osteopathic practitioners, Nicola, Michael and Stephen, working full time in the centre. Services include Osteopathy consultations, treatment of lower back, neck and shoulder, cranial osteopathy and helping expectant mothers during pregnancy. "I have been seeing Nicola Sell as my osteopath since 1992. Initially she helped me with an acute and very painful lumbar disc injury. The physical and emotional support she gave was vital and I recovered well without surgical intervention. I have since seen her on a regular basis for gentle treatment to make sure my back stays strong because I use a computer frequently. I have always found Nicola an excellent osteopath; very informative, constructive and supportive. I recommend her very highly." "When I’m ship-wrecked on a desert island I shall insist on taking Nicky with me as my luxury item. For the last 15 years she has provided me (and my family) with both routine maintenance and emergency repairs of sports and age-related issues – always positive, knowledgeable, well-informed and thoughtful – a real confidence-booster. She’s pragmatic and cheerful and, importantly, well aware of the holistic interaction between mind and body. Perhaps she’s not a life-saver in the strictest sense of the word – but it has often felt like it." Nicola has been in private practice since graduating from the European School of Osteopathy in 1991. 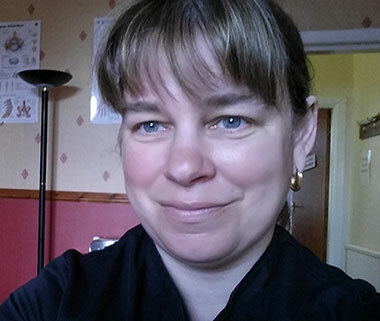 Nicola took over managing the Leeds Complementary Therapy centre in 1997 and it continues to grow and prosper. Nicola has now been practising over 20 years and feel I still have the passion to get to the root of each individuals problems. Since graduating from university, Michael has enrolled on many courses, such as kinesio taping and acupuncture to introduce a diversity of treatments. Michael has recently completed his KT2 (advanced) course in Kinesio taping, which can be used to help improve the function of muscles, joints, fascia and circulatory/lymphatic system. What Symptoms Of Pain Are You Feeling? Can osteopathy help your pain? We live in an increasingly stressful society and your pain can stop you from concentrating at work and this means your performance drops. Have you ever had to cancel a day out because of pain? Or maybe you have tossed and turned at night unable to get sleep because of the pain and then woken up tired and grumpy in the morning. Think about how you would like to jump out of bed in the morning free from pain and energised from having a good night’s sleep. Pain can be felt by anyone, there is no clear cut research as to what actually causes it. Is it in the shoulder? Pain can be felt anywhere in the body we are here to get to the root of the pain and sort it. Is it on the right or left hand side of the body or in the centre? Does it radiate from a central spot to other parts of your body? You know it's foolhardy to put up with the pain any longer, as long term it is detrimental to your long term health and day to day living. Thus it's important to know how specifically you are suffering from your pain? You have difficult moving, be severe enough to prevent you walking or standing. You feel pain tends to be achy and dull but can range from a dull diffuse pain to a sharp stabbing pain. You experience pain in a central area, or just on the right or the left side. You suffer with pain in your back, legs, shoulders, hips, - is it right, left or both? You associate the pain with pins and needles. You experience local soreness upon touch. You have limited flexibility or range of motion of the back, neck, shoulder. You have an inability to stand up straight. The good news is an osteopath can help with your pain. The skilled techniques of an osteopath can allow you a speedy return to your normal activities. Osteopathy can help the vast majority of pain. By treating the spine and the surrounding muscles and soft tissues it can get the best movement though your spine and more importantly symmetrical movement. This is important because better and more symmetrical movement = less pain. For example whilst we cannot treat osteoarthritis itself we can often help with the symptoms by getting the surrounding tissues to work more efficiently then we can get the patient feeling a lot less pain and better movement. Osteopathy works on many levels affecting various body tissues. By working to rebalance any stresses or strains, address problems with posture, improve circulation of blood and lymph, osteopathy can have wide reaching benefits throughout the whole body. When you come to see us we would take a full medical history and treat you as appropriate. 1 Hour first consultation - So we can discuss and truly understand what you need to help you get better, we'll also discuss any worries or fears you might have about you condition and put them to rest. Flat fee for first and subsequent treatments to make the treatment more accessible for you. Open Monday - Thursday with late appointments Monday,Tuesday and Thursday evenings - open when you need to see us. Over 20 years of practitioner patient handling experience - treating over 4000 patients means we know how to get it right for you. Easily accessible by car or bus - we have ample parking on either side and are right beside a bus stop. Which means no parking fees for you or a very short walk from the bus stop. Wide range of conditions treated and with a wide range of techniques including Osteopathy and Cranial Osteopathy. Wide age range treated our youngest patient was just one week old and our oldest 99 years old. Side benefits - whilst you are likely to come to us to reduce your pain, you may also find that you leave with increased flexibility and better energy levels. Leeds Osteopaths Complementary Therapy Centre offers a personal guarantee to you that we will get to the root of your problem and will suggest the best treatment for it. The majority of the time we can get to the root of you problem but sometimes we feel that another treatment approach may be the best possible option for you and in this case we will recommend an alternative route.